We begin with Bismillah hir-Rahman nir-Raheem, for any action that begins with Basmalah is supported by Allah, and will bear fruit. So everything in creation is praising Allah, and in everything around us, there are signs of His greatness which brings praise to Allah on our tongues. And all praise is due only for Him. Nothing was created without a purpose. So it is important to draw lessons from every incident, and from every creation. He is able to draw wisdom from every incident and every creature that he sees. He is able to communicate with the barzakh (the world of spirits) without a hijab/veil. Perhaps there is none in our majlis today who can claim to have real faith. Real faith has real taste, like real fruits and real flowers. Plastic fruits and artificial flowers have no taste and no smell. One cannot taste the sweetness of faith, if it is an imitation faith. Do we really believe Him? Or are we still wrought with fears that we will not have enough for our worldly needs? How many humans spend their entire lives, doubting that Allah is truly their source of sustenance, and that He truly suffices for them? I shall end with a short story to highlight how weak our faith is. Sayyidina Ali (ra) calmly replied, “O ignorant man! If He so Wills, He will defend me. Neither you nor any one else can cause even the slightest harm to me. 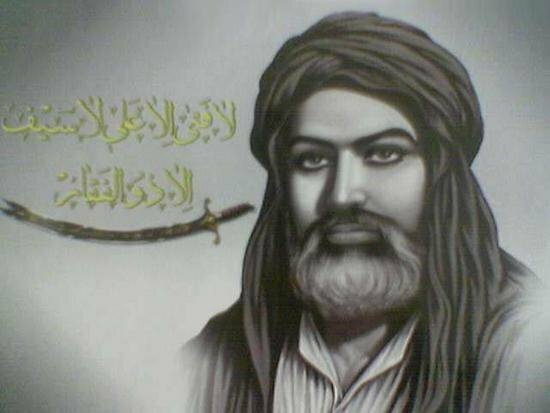 If death, which is sure to come, is destined for me now, by God, none can save me.” This reply impressed the soldier so much that he threw down the sword, glorified God and accepted Islam at the hands of Sayyidina Ali (ra). And despite reading the Qur’an regularly, and understanding its meanings, we don’t really believe yet in the revelations of the Almighty. May Allah open the Way for us to acquire true faith and may Allah replace our doubts with true yaqeen. And by the blessings of our esteemed guest from Sri Lanka, Shaykh Ajward Alim, may Allah open the path for us to attain spiritual excellence, and may Allah raise our guest higher in his station, and may he always remember us in his prayers. We are so blessed to be remembering our Shaykh today, Allahyarham Shaykh Zakaria. One who remembers Allah abundantly, Allah remembers him, and makes His creation remember him too – it has been a year, yet there is so much of him in your hearts still, you all remember him so dearly! One who forgets Allah, Allah forgets him, and no one remembers him with fondness when he is gone. Bi hurmatil habeeb, bi hurmatil Fatihah. This entry was posted in Maulana Shaykh Nazim's Suhbahs, Private Suhbahs, Suhbahs 2010. Bookmark the permalink.